We may not have had a traditional Christmas dinner but the Tartiflette wasÂ delicious. 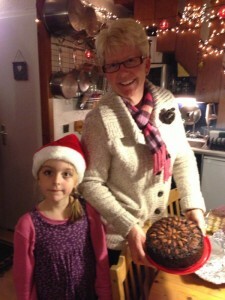 One thing we did not miss out on was a Christmas Cake, Isla and I made it while Geoff was in New Zealand and we bought it over to Les Gets with us. This years cake seemed to be extra nice, maybe because of our lovely snowy surroundings. 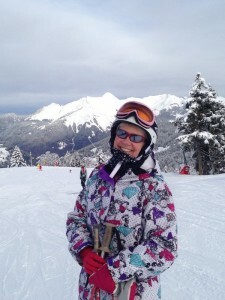 This entry was posted in skiing on December 26, 2012 by Sally. For the first time in my life I have been out of the UK for Christmas. 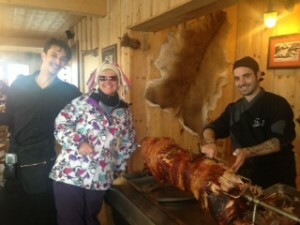 I cannot lie and say I wont miss my Christmas dinner,but while up on the mountain we did call into the Grand Ourse where I had a good smell of the Hog roast which should keep me going till I cook a christmas dinner. 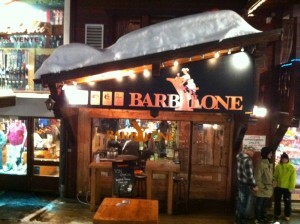 BUT I wil be back here in Les Gets for 10 days skiing from 12th Jan lucky lucky me !!!! 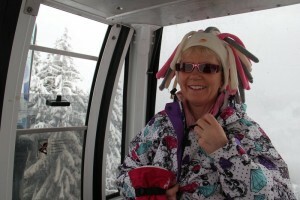 This entry was posted in skiing on December 25, 2012 by Sally. This will be my 6th year out in Les Gets skiing but even so I still get very anxious when we go out for the first run or two. 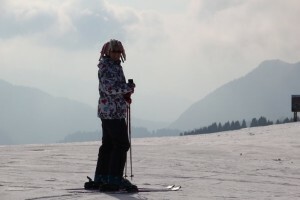 After a Vin Chaud, its seemed the cloud had cleared a little so we decided to make our way down the mountain, I was slow and careful but the snow was good and I quite enjoyed it, so off we went back up, only to discover that the visability had deteriated even more……. We then decided to go for a quick FitBit walk to burn some calories, which is a very addictive little gadget, it will be interesting to see what difference it makes to my weight over the next month or so. To finish the evening off we met up with some friends for an apres ski drink at Barbylone and yes it was all in our calories allowence :-). 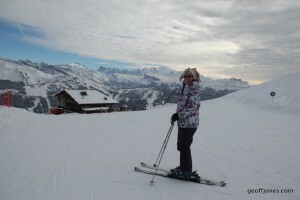 This entry was posted in skiing on January 8, 2012 by Sally. Today as its getting to the end of my holidays, we decided to go and try the ski runs on Mont Chery. 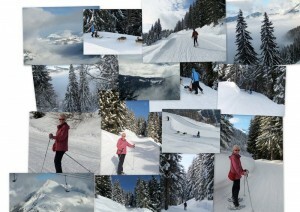 This entry was posted in skiing on January 22, 2011 by Sally.